Leading Manufacturer of sanitary stainless steel check valves, float valves, excess flow check valve, swing check valve, dual plate check valves and forged steel check valves from Mumbai. 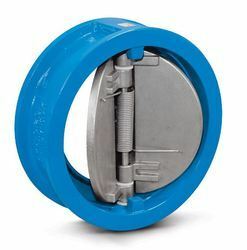 We are successfully ranked amongst the topnotch entity offering a wide range of Sanitary Stainless Steel Check Valves. The offered valves are a mechanical device which normally allows fluid to flow through it in only one direction. There are two port check valves which has two openings in a body one for fluid to enter and the other for fluid to leave. 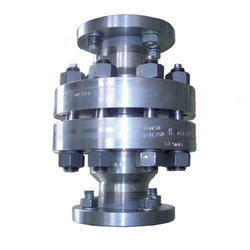 We provide varied range of the check valves which are highly durable and cost effective. It can be easily customized according to the customer specifications and details. We deals in Excess Flow Check Valve. We deals in Swing Check Valve. 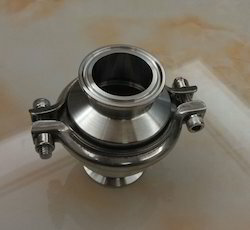 We deals in Dual Plate Check Valves. Moc: cast iron, cast steel(wcb), stainless steel ( cf8/cf8m/cf3m), gun metal. 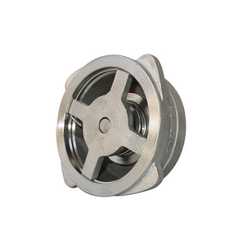 We deals in Forged Steel Check Valves. 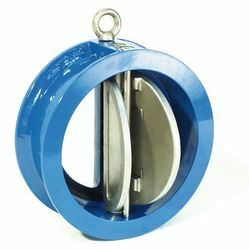 We deals in Disc Check Valves. 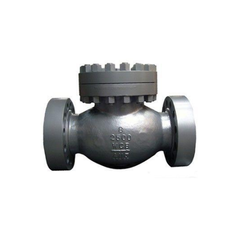 We deals in Cast Steel Check Valve. Leveraging on our in-house production unit, we are presenting a wide assortment of Check Valves. The offered valves are consisting of flat closure element which slides into the flow stream to provide the shut off and theses are linear motion valves. 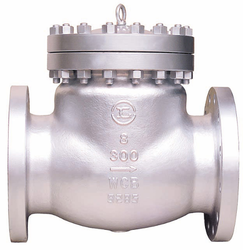 These valves are also known as the knife valves and slide valves. 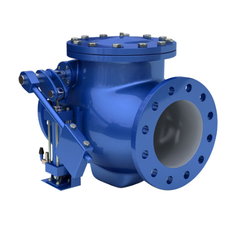 The gate valves minimize the pressure drop across the valves in the fully opened position and it completely stops the flow of the liquid. The advantage of the gate valves and the knife valves is that their application in slurries allows the gates to cut right through the slurry. It can be easily customized according to the customer specifications and details. We deals in Wafer Check Valve.